tell you; I wish something were working out for me, so then I wouldn't have to. But alas, since the onus for burning calories is still on me, this week I stepped up to the plate and visited Fitness In Motion . 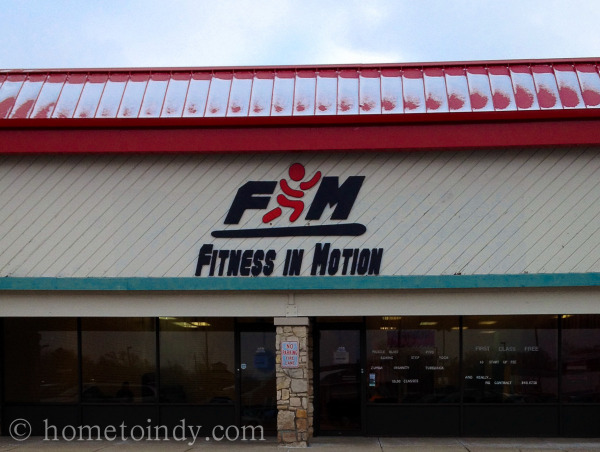 FIM is class-based workout studio. Now, I think you can have one of two perspectives on class-based workouts. Either you would prefer being rubbed down with a prime rib and then locked in a room with a cheetah to participating in social calisthenics or you have no shame because your inner Carmen Miranda or Jillian Michaels are having way too much fun to care. Personally, I have no shame, although about mid-way through most classes I usually question the wisdom of abandoning all shame, because I'm sure the view is more than a little hilarious. But I don't care. I'm motivated by a crowd and I work harder when someone can see me. So, for those of you with a social or competitive drive, here's what I have to share about Fitness in Motion. 1. The sheer number of raving reviews and testimonials on the website. I can't help but be encouraged when I see a plethora of people willing to share glowing feedback, especially about something like exercise. 2. I was interested because of the very wide range of classes and times which were available. Everything from Bokwa to Zumba and plenty in between. 3. Finally, because of the incredible price. At five dollars per class or thirty five per month ofunlimited classes, I had to try it out. The childcare and nutritional coaching are extra, but even that fee is nominal if it's a service you need. About a week before class began, I called to ask a few questions and ended up speaking to Rachel Pergl, the owner of the studio. I have to take a moment to rave about this experience. Rachel was incredibly helpful and volunteered more assistance than what I originally asked for. She's friendly and cheerful and I got the impression over the phone that I might not mind having her yell at me to "give it all I've got" while I tried to complete an indeterminate number of jumping jacks. And that's saying something. Because by and large, that’s something I’d mind. But she seemed in possession of that rare quality of determined enthusiasm which is hard to refuse. Due to my schedule, I ended up attending the Insanity class. It wasn’t my first choice, just based on other classes I’ve taken elsewhere, but I was determined to go and that’s what fit. As I came into the studio, I was the first one there after the instructor, Jessica, who was friendly and full of good information about the class. The first class is freeShe had me sign in, cheerfully informing me right off the bat that the Insanity class was probably the most intense cardio class at the studio. This made me tremble, since my cardio for the last year has been pretty much exclusively matching my pace on the treadmill to whatever music I happened to be listening to. And by music, I mean the opening and ending credits of whatever TV show I was watching on my computer. So to sum up, my cardio equals a 30 second jog, a 42 minute walk followed by a 15 second jog until autoplay kicked on the next episode. Sad, I know. And scary, in the face of such a dire sounding class. Did I mention the class was called "Insanity"? This is not a misnomer. We didn't stop moving for the entire duration of the class, but there were plenty of modification options available. The instructor was easy to follow and my fellow classmates were friendly. I was really pleased with how friendly everyone seemed. There were regulars who all seemed to enjoy one another as well as the instructors, who seemed to know people by name. At the end of the class, as I was leaving the facility, Rachel, who had seen my name, came over and introduced herself, asking if I enjoyed the experience and if there was anything she could do for me. If there was any real downside, I'd have to say it's the fact that it's a storefront, so the giant windows, to me, are a little off-putting. Even my no-shame policy has it's limits. Over all, though, even if you'd rather hug a cheetah, I can vouch for this being about as non-threatening as a workout class gets and I certainly felt the burn the next day. In fact, I bought this Groupon so I could try it some of the other classes. Maybe I’ll see you there sometime?